I was walking alone along the bank at dusk. A river flows under the eyes and birds fly overhead. It is a school nearby, the sound of a sad chime. It is time I have to go home. "What am I doing in such a place?" Dogs begin to bark here and there. 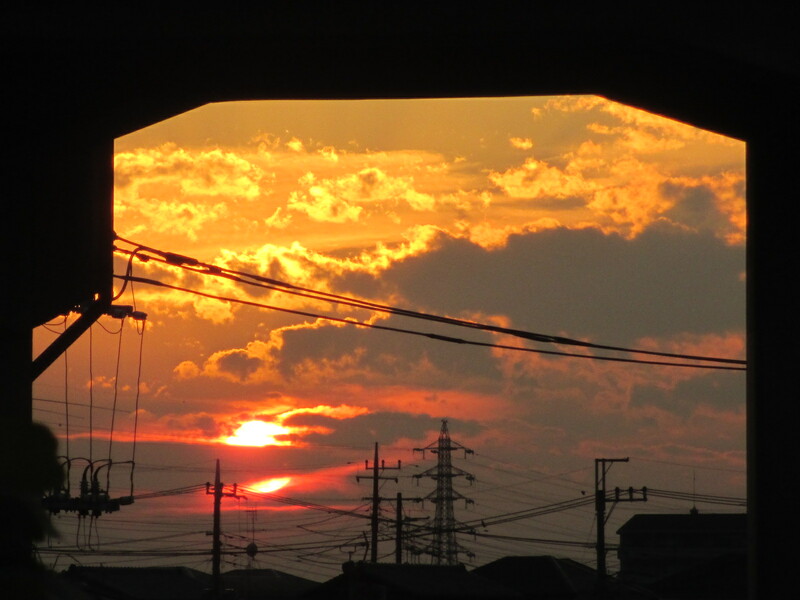 The sky in the west dyed in a bright blood color.